I always end up spending the week between Christmas and New Year’s brainstorming annual business and personal goals. And since I started this blog, part of that process for me each year is to create my planner for the coming year, reflecting on what worked and what didn’t. 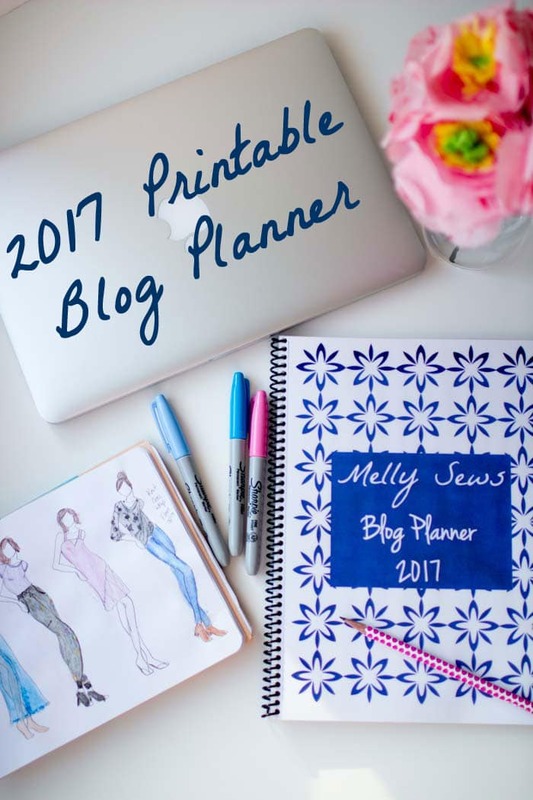 So today I’m sharing my 2017 printable planner for blogging/business. 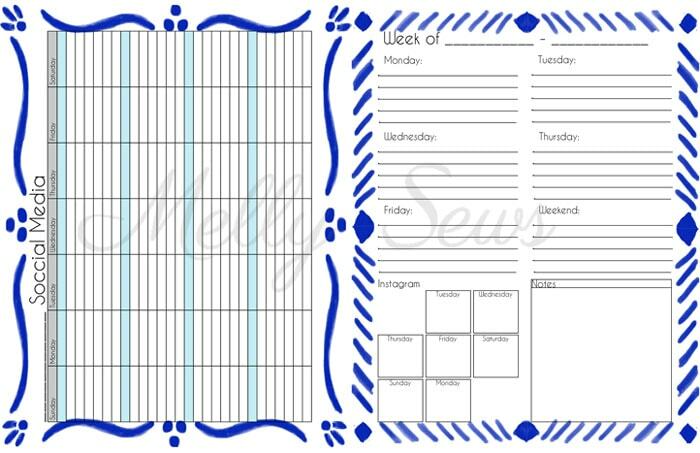 Although you could probably skip some pages and make this work for a weekly personal planner too. So here’s my blog planner for 2017. I’ve had so much fun playing with my iPad pro and Pencil, that I went with a more hand painted look this year. It goes along with my urge lately to embrace the imperfect, the human touch in digital form. And science backs me up – that when you write things by hand, the act of writing helps your brain process things more deeply than when you type it. 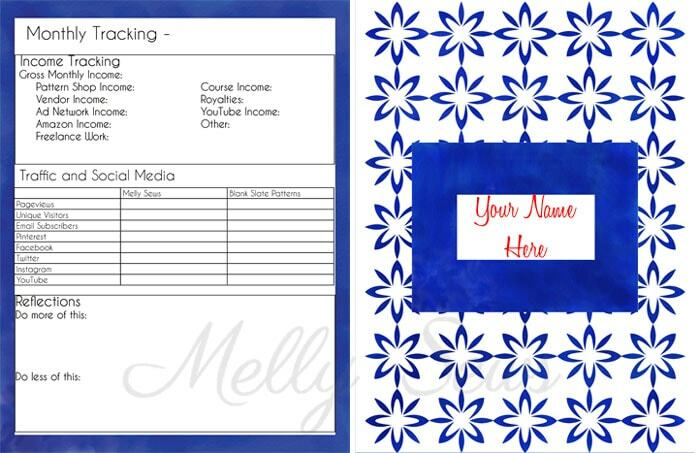 So while I use lots of digital tools to help me organize and be productive, I’m still a believer in the paper planner. 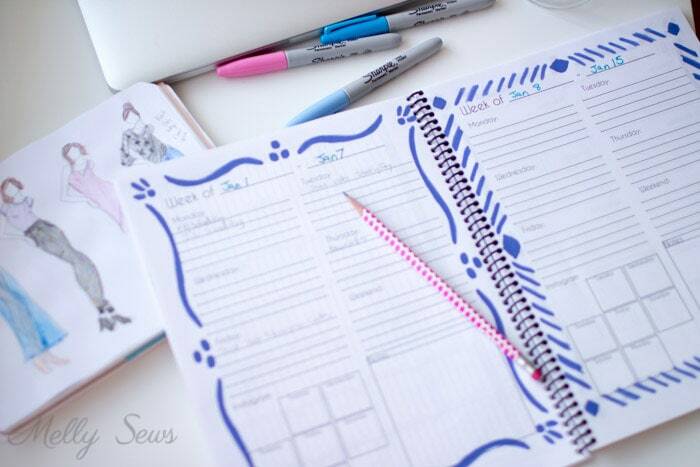 I also added some blank pages to the back of the planner for list making, sketches, etc. It’s just nice to have blank paper close at hand. I’m going to be using these pages this year for bullet journal style pages, so the first of those blank pages will be my table of contents. I considered doing the whole thing bullet journal style this year, but the truth is that I actually like quite a lot of the format of my planner, and I’m not ready to commit to no format yet. But I can see how bullet journaling would be even more useful for thought processing. I just worry that I’d spend too much time processing and not enough time DOING. Every year I tweak my planner based on how I used it the past year. So, this is what I’m doing for 2017. You can see what I did for 2016, what I did for 2015, and what I did for 2014 – in fact, you may want to mix and match pages from all of those depending on your own needs. I’ll tell you about the 2017 changes I made below. 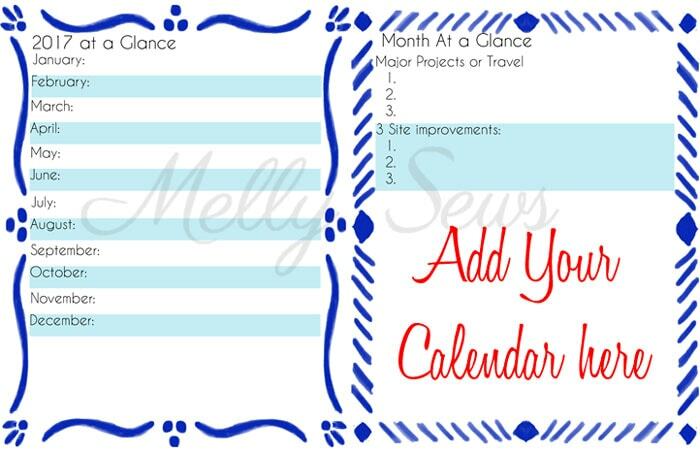 My year at a glance and monthly overview pages are the same as last year, just in the new color scheme. Those worked well for me, especially holding myself to 3 major things/month. The social media calendar still works for me too for my Facebook scheduling. However, this is an area I think I need to migrate to digital. Processing FB data is something I think would be more efficient done digitally, so these pages might disappear next year. I did change the weekly to do lists and monthly tracking, however. For the weekly to do lists I changed a couple things. First, I only gave myself 5 lines for each day. My old planner had 8, and my list is usually items like “film video for X” or “Write this blog post”. Which meant that my problems with time management (I always underestimate how long something will take to do; I blame my optimistic nature) were exacerbated by my planner with 8 tasks. So by only giving myself 5 lines, I’m hoping to be a little more realistic about what I can get done on any given day. As for the monthly tracking, I have digital advertising tracking now for when I run ads, so that wasn’t getting filled out. I replaced it with a section to reflect each month – ways to make note of great ideas and remember things I hated and maybe should hire out. I also included a cover you can print, which you can also use for the back cover. And I eliminated my bar graphs that I used to put in the front to track numbers month to month, because after March I never remembered to fill them out. On the other hand, I keep these planners and I have gone back to this monthly summary page of previous years to compare numbers. I hope you find this tool useful for a productive 2017! 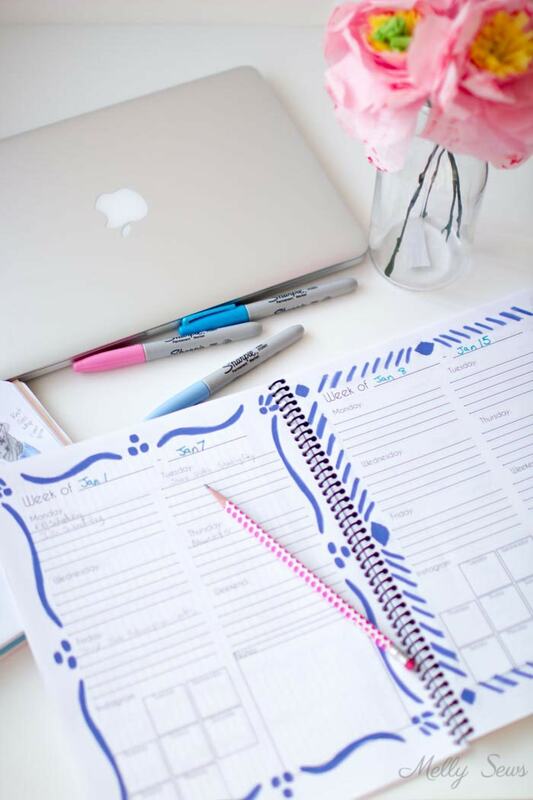 I LOVE LOVE LOVE the perfectly ideal planner based on individual needs. I however can’t commit to the spiral binder. I need to able to add sections and more paper here and there. I´m still struggling to find just the right binder….. any ideas? Has to travel well. Lol, with my erratic blogging over the last few years I think I may need one of these!